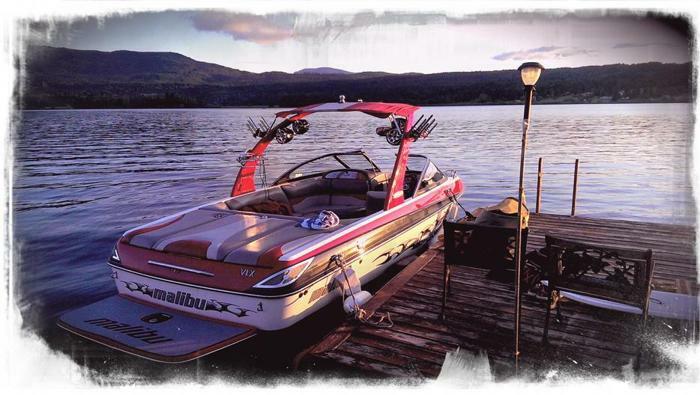 06 Malibu wakesetter vlx with 420 hrs . Has 4 stock ballast with extra 370lb and lbs surfing. Power wedge with 2 new actuators . Large exile audio sound system with 4 tower speakers. 2 port heater, hot/cold water shower,Monsoon 350 engine, biminni top and cover. Has aftermarket rear view mirror as well as 2 stock racks and 1 fold in surf/wake rack.